World Mental Health Day is celebrated on the 10th October every year. You might be surprised to know that 2018 was the 26th year of the day being observed, having begun officially in 1992. It feels particularly surprising as mental health has only really become a mainstream topic of discussion in the last few years, with more people beginning to talk more openly and share their experiences. Despite the length of time taken for the population to reach a more accepting view of talking openly about mental health within society, the numbers of people within the UK seeking help for depression has more than doubled between 2006 and 2016 which, whilst highlighting the volume of those living with mental health conditions, is positive in terms of demonstrating that more people feel they are able to reach out and ask for help. The 10th October is an important date to us at the Cameron Grant Memorial Trust as this is also the day of Cameron’s birthday. Three years ago, we held our first Night Walk in memory of Cameron with family, friends and members of the local community. Since then, we have been truly humbled by the amount of people coming to take part, remember Cameron and raise awareness of the importance of talking about mental health and suicide. 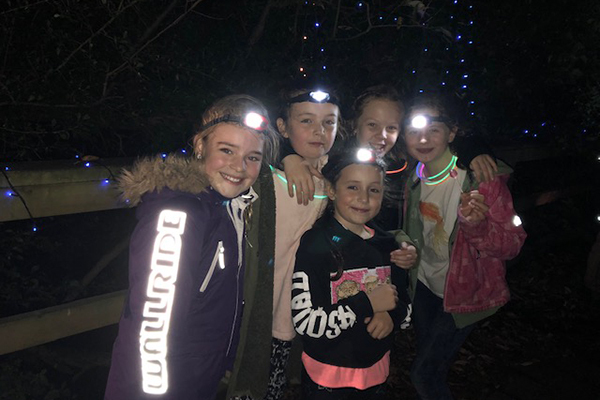 On Friday 12th October, we held Cameron’s fourth Night Walk. This year is particularly special as it would have been Cameron’s 25th birthday – and what better way to remember him than being out and about with family and friends? It was really lovely and peaceful to get out in the countryside and have some fresh air! Really nice route, all the check points where you were checked in were great; everyone was so kind and helpful! Favourite part was the fairy lights at one of the last check points. The whole experience, walking in the dark, the lovely fairy lights along the way, the opportunity to chat to people. Very well organised and a thoroughly enjoyable event! So lovely to see so many people taking part. The whole community coming together to support the charity, people of all ages young and old. By donating to the Cameron Grant Memorial Trust, you are helping us to raise awareness of young suicide, encourage others to talk more openly about struggles with mental health and signpost those who are, or those to the support and resources they need. 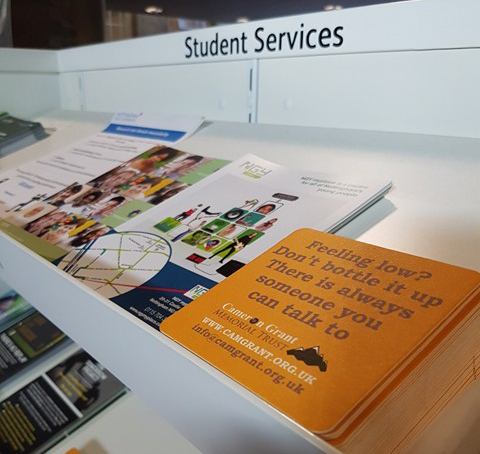 Cameron’s Coasters are customised drinks mats for schools, universities, local venues and other groups, and they point people to the help that could just save lives. Not only this, but your support enables us to continue spreading the message in wider communities across the UK, meeting and engaging with people at conferences, university and college talks and forming partnerships with other organisations such as Student Minds. If you’re interested in helping us to get more of Cameron’s Coasters into your local community, or can support our cause through existing connections or fundraising help, read more on our volunteering page.